There are many requests for things on the Internet. Materials, money, spiritual assistance, you name it. And I don’t generally do anything about such requests, unless I’m personally involved or strongly motivated. Bloggers tend to be a very supportive group. 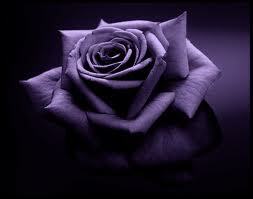 And one of my Blog Mothers (and a dear friend whom I love and respect) posted A Flower for Leontien. As she said, A little support and cheer to a fellow blogger from Four Leaf Clover Dairy who is fighting cancer. 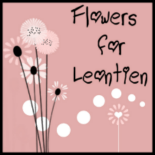 Link to Flowers for Leontien to join in. The fans of Old Phoenix out there have been asking for additional tales of pre-urban-renewal Phoenix. My apologies, my mind has been elsewhere. Apparently, there is a ghost (or are ghosts) resident therein! On the evening of Oct. 16, 1931, a Phoenix secretary named Winnie Ruth Judd got into a tussle with two of her best friends. All three were seeking the affections of the same man, who happened to be married to someone else. That night, prosecutors said Judd shot both women, hacked one of them into pieces and placed both bodies in steamer trunks — which she brought with her to Union Station and checked as baggage, bound for LA. When Judd arrived in Los Angeles — her hand bandaged and crusted with dried blood — she went to claim her trunks. The porter had flagged them and demanded a key to have a look inside. Winnie Ruth Judd’s trunks were leaking, oozing blood. The bodies of Judd’s friends were sent back to Phoenix on the Golden State Limited. According to historical reports, they arrived Oct. 24 on the 7:20a.m. 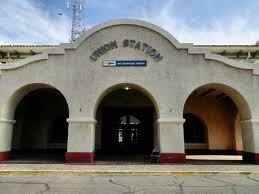 train and came home to Union Station. Who knows if these are the resident ghosts? Stately McDaniel Manor has a post (linking to an additional post) with regard to warning shots. And how they may or may not relate to the Trayvon Martin case. Warning shots—and shooting to wound—are a really, really bad idea. He does expound on this at the link. And the legal ramifications. But, the whole subject got me thinking. There are many folks who receive their firearms training via television and movies. In other words, they don’t have any. 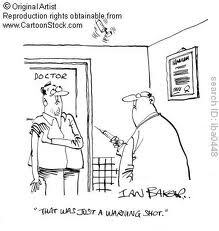 And in these venues, sometimes, warning shots are employed. Because they can show the hero shooting a firearm. 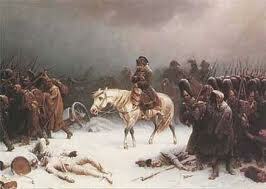 I believe Col. Cooper said warning shots are not a good idea, as they waste ammunition. And, unless you are engaging a substantial backstop, as a heavy steel dumpster or advancing assailant, you might be discharging a round in an unsafe direction. It also wasn’t particularly good tactically. The whole ‘use of lethal force’ legal thing gets involved, even if that’s not your intent. Don’t use a lethal force tool for non-lethal purposes. Mike McDaniel and the Colonel are correct. A radio news report this morning said there have been three accidental shootings in Latah County recently. One of them happened when a guy was “cleaning a loaded pistol”. Yeah, right. We know about these accidents, why? Because when the injured went to the hospital for their minor wounds, the people at the hospital call the cops. I once shot myself right through the weak hand thumb. I went to the hospital to get the projectile extracted from my thumb. It was sticking out both ends of the wound. The thought of calling the cops, I am certain, never entered anyone’s mind at the hospital that day. OK, class. This is a test. WHY did no one at the hospital think of calling the cops in my case, but they automatically called the cops in those other cases? Hint; why aren’t the cops typically called in on a lawnmower accident, a ladder accident, any time you cut your finger while chopping vegetables, cut your head running into a door, etc? “Oh, but those gunshots could have been part of a crime” you say. And that’s my point– even you are programmed. If a gun is involved, well, crime. Sure, and someone could have shot me with an arrow while I was threatening them, or that cut you got chopping food could have been done on purpose by your raging spouse, and that contusion on your kid’s head from the bicycle crash might have been caused by you hitting him with a blunt object on purpose, etc., etc., etc., etc., etc. Get the irrational programming (the mindset; gun = crime) ironed out. WASHINGTON, April 27 (Reuters) – Al Qaeda’s core organization is likely incapable of carrying out another mass-casualty attack on the scale of Sept. 11, 2001, U.S. intelligence and counter-terrorism officials said on Friday. More worrying to U.S. counter-terrorism officials and their allies abroad is the possibility of home-grown extremists, or “lone wolves,” who are radicalized over the Internet or in small cells, but who also now are being given encouragement by media outlets connected to al Qaeda and its affiliates. Might this statement reasonably be interpreted to mean that anyone who has an opinion and expresses it “over the internet” could be considered a terrorist? How about a group of individuals that might get together to discuss common interests? Big Sis and the .gov need a bogeyman, ya know. Its what puts bread on their tables. It keeps them in power. It allows them to extend their control. Whom will they decide are the new threat? The ground work is being laid. The finishing touches are being implemented. I wonder who they’ll target first? Do you think you can stop it? LOL. Not happenin’, friends. It now has a life of its own. Washington, D.C. Senator Lousenburg (D. NJ) has filed the “Turn Tail and Run” (TTR) bill in the U.S. Senate which, if passed, would preempt ALL State “Stand Your Ground” (SYG) laws. The new bill would impose a national duty to retreat at all times when one encounters a criminal threat or is about to become a victim of violent crime. New York City Mayor Bloomingidiot has made passage of the “TTR” a centerpiece of his national “Second Chance at Shoot First” campaign. The mayor heartily approved of TTR, especially since bodyguards of celebrities, VIP’s, and political figures were exempted. BUT ketchup (aka catsup) v. mustard! I eat too much fast food. But I like it, and as standing in the kitchen or elsewhere can be painful (due to my various infirmities) it’s easier. Sometimes, in lieu of cooking, I drive-through. 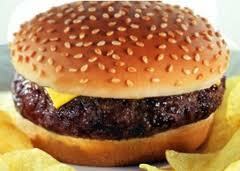 I live in the Southwest, and many of the personnel in fast food establishments are of Latino origin. This is NOT some kind of racist diatribe, but rather an observation. Hell, my neighborhood is largely Latino! So what? I like mustard, lots of mustard, on my cheeseburgers. The more the merrier. I’m NOT a big fan of ketchup. It’s ‘okay’, but I don’t seek it out and prefer not to have it. When my college landlord Walter worked as the night manager for (franchise excised), I’d get burgers drenched in mustard. Heaven! I think the taste for mustard emanates from the East Coast and the Midwest. It’s not a usual part of Mexican cuisine (which I also like!). It seems most of the fast food establishments which I frequent do have mustard. But the staff, unfamiliar with the taste or desire for it, doesn’t get it. And my cheeseburgers often have little or no mustard, even though extra has been requested! And sometimes ketchup is substituted in its place! Now, I realize that fast food places are not blue ribbon dining facilities, and the crews are usually minimum wage folks just trying to eke out a living, but there seems to be a decided dislike for mustard as a condiment and an unfamiliarity with regard to how much is appropriate when extra is requested. A spot the size of a dime is not EXTRA! And substituting ketchup is just wrong. One of the chain’s branches in another part of town has a largely Bosnian crew, many barely speaking English. There seems to be no problem in that location obtaining extra mustard, further adding credence to my hypothesis. Then of course, are the places that offer mayonnaise to be placed on hamburgers! I’m not going to dignify THAT with a response! 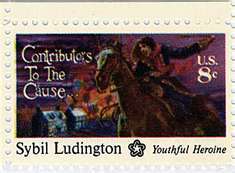 Gramp (about whom I posted earlier) my maternal grandfather, married a Ludington, something of which he was most proud. Just a couple minutes out of your day to call D.C. TODAY! CISPA is set to be considered today before Congress and possibly voted upon. Please make a call (202-224-3121) to your Representative right now and demand a “NO” vote on H.R. 3523 or any other bill that restricts the personal privacy of gun owners. 125 Grain Hollow Point Bullet For .45 ACP? Here @ Guffaw in AZ, well welcome all comers with reasoned arguments. I ran across this on the Internet, however and it gave me pause. Is THIS a reasoned argument? Now, personally, I’m a fan of heavy, slow .45 ACP rounds. 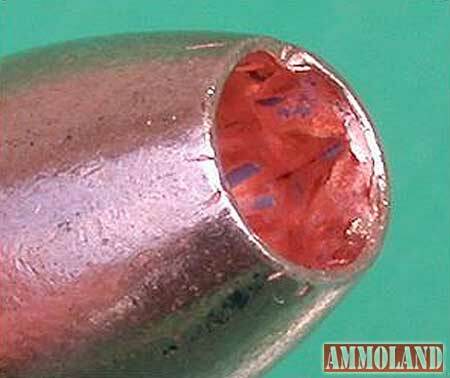 230 grain, anyway, modern hollow point preferred. (but ball will do in a pinch!). I DO understand that .357 loads used in the city will penetrate people, buildings, most car doors. So my preference is for .45 ACP and .38 Special. For the urban environment, anyway. Recognizing that a 12 gauge is better, but less socially acceptable. And perhaps more difficult to conceal. Anyway, this intrigued me, at least as an intellectual exercise. I’m certain that Jeff Cooper, John Thompson and Julian Hatcher are spinning in their graves.